The Science and Technology Facilities Council in the UK has managed to create a terrible situation which could destroy fundamental research across the country. This would have a devastating impact on not just the lives of people who have dedicated themselves to their fields, and not just to the UK’s reputation, but would be a massive loss for everyone. One institution, Jodrell Bank (where I used to work), is listed as “threatened” (BBC News), and this story a great showcase for what’s at stake. What’s really at stake isn’t even visible, so I’m going to use JB to give tiny insights into what this could mean for a broad community of brilliant minds and projects, and what we might lose that we can’t imagine and can’t measure. In true British fashion, Jodrell is an example of how spectacular scientific endeavour is completely under-represented and unappreciated in the UK. 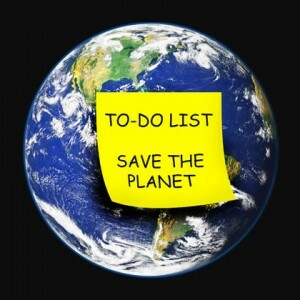 We have a world-class, thought-leading, inspirational, world-changing, unique facility, and it’s not considered as an imperative to sustain. Jodrell (with MERLIN) is as powerful as the Hubble Space Telescope. It has been for over 15 years. (I believe Nasa spend more on marketing the HST than Jodrell’s entire budget). I went to visit some friends at Jodrell a few years back and as they we updating me on some of the progress a few nuggets dropped into the conversation – like the fact that more data was flowing across the MERLIN network than the WHOLE of the UK internet. One of the engineers showed me their own self-build multi-gigabit router (because nothing commercial was quite cutting it). Jodrell was instrumental in Apollo missions. It was the only instrument in the Western Hemisphere that could track Sputnik. It led to the discovery of Pulsars. It helps us map the entire universe. It finds new physics. 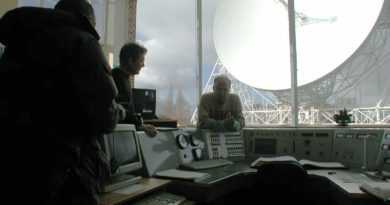 The people who work in this field, using instruments like Jodrell, help not only to literally uncover the mysteries of “life, the universe and everything”, but to create fundamentally new technologies, push boundaries and inspire generations to drive innovation – they do this as a side-effect to their daily work. One colleague wrote 100,000 lines of PERL to help with data processing tasks, so they could carry out their own astrophysics research. I was part of an international team of about 10 people managing about 1 million lines of Fortran that carried out data and image processing. While I was there (in 1993-95) I helped to set up their first website. We did this in our lunch breaks, as a means to an end – helping to share information. Of course it’s not just Jodrell, it’s all the fundamental research that we use to fuel our innovation, which ultimately fuels our economy, and could help us address the many global issues that we face as a species. To find ourselves in a situation where this level of innovation is threatened is, at best, atrocious, at worst immoral.